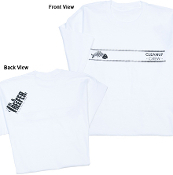 Our T-Shirts are made using a Gildan 100% preshrunk heavyweight 6.1oz cotton T-Shirt featuring a seamless collar, tapered neck & shoulders, and double needle stitching throughout. These are great shirts for printing and comfortable for wearing! 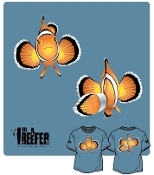 SOGGY TEES is a proud sponsor of the REEF2REEF online saltwater community! Be sure to check out www.reef2reef.com for great info, awesome giveaways, and plenty of reef conversation! Also, be sure to check out our SOGGY TEES sponsor forum at R2R to see all our newest releases and great deals!